Crossover. 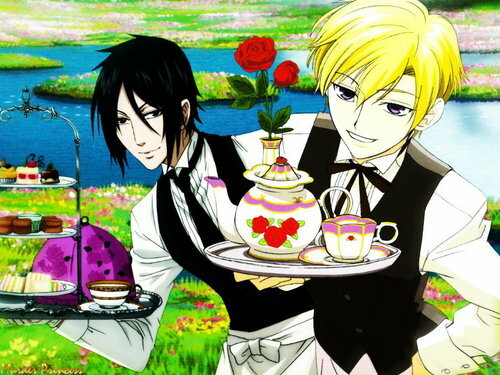 that's a handsome butler "wow" Tamaki and Sebastian. HD Wallpaper and background images in the ouran high school host club club tagged: ouran high school host club tamaki kuroshitsu sebastian butler. omg my BFF would love this!!! whos the other person? i know tamaki buy not the other guy.